Virtual reality, Google's Pixel phones, exploding Note7s, and everything else that made 2016 a year to remember. For years, Samsung has dominated the end-of-summer headlines, positioning its best-in-class Note phablet as the definitive iPhone competitor. And this year was no exception; the Note7 was something of a Galaxy S7 Edge Pro, offering a slightly bigger 5.7-inch Super AMOLED curved screen with a similar metal chassis and specs, but adding an iris scanner and upgraded S Pen support. Initial reviews were stellar (including Greenbot’s), and it looked like it was going to eat the iPhone 7 Plus' lunch. Images like this became all too common in the weeks following the Galaxy Note7 launch. But the headlines quickly changed. A few weeks after its launch, pictures of charred phones began appearing on customers’ Facebook pages. Then a Southwest jet was evacuated after a Note started smoking. And a Jeep caught fire. Dozens of incidents and two recalls later, Samsung officially halted sales of the Note7 and urged anyone who had bought one to return it. It remains to be seen what kind of long-term impact the debacle will have on the Galaxy or Note brands, but all signs are that Samsung is gearing up to release a splashy slate of handsets in 2017. At its I/O conference in May, Google seemed wholly committed to the wrist. While the early developer preview of Android Wear 2.0 might not have been the kind of dramatic overhaul some were hoping for, it was definitely a serious upgrade to the somewhat rushed first effort, smoothing out the rough edges and adding a bunch of cool new features designed to make the next round of wearables act as smart as they looked. Among the new additions to Google’s wearable platform included Play Store support, richer watch faces for iOS users, and a decreased reliance on a nearby phone. Also tweaked were the user interface and the messaging experience, bringing them more in line with Android proper. Android Wear 2.0 was promising at Google’s I/O conference, but it’s since been delayed until next year. But our watches will have to wait a little longer before they get any smarter. After the third beta release in late September, Google announced that Android Wear 2.0 wouldn’t be released until early next year, a move that capped a rather bland year for wearables. LG, Lenovo, and Huawei neglected to release much in the way of new wrist hardware, while Motorola announced it was rethinking its entire smartwatch strategy. In fact the only real movement on the Android Wear front came in the form of me-too moves from traditional manufacturers such as Michael Kors, Nixon, and Fossil. But with Android smartwatches struggling to make much of a dent in the landscape anyway, maybe a little extra time will do everyone some good. Even without a new crop of smartwatches, people everywhere were strapping high-priced gadgets to their bodies—but on their heads, not their wrists. In 2016, headsets were far and away the coolest wearable on the block, and everyone wanted to get in on the act. Google’s Daydream VR was a massive upgrade from its Cardboard viewer. Ever the trendsetter, Samsung got the ball rolling some time ago with its Gear VR, an Oculus-powered headset compatible with its top-end Galaxy phones. Not to be outdone, this year HTC began selling the consumer version of its Steam VR-powered Vive, a high-end virtual reality experience that requires a pretty powerful PC, not a phone. And the Oculus Rift PC headset finally landed on store shelves. Google blew the Velcro off the original Cardboard VR viewer player with Daydream, a fabric-wrapped, somewhat fashionable headset that put a premium on comfort. 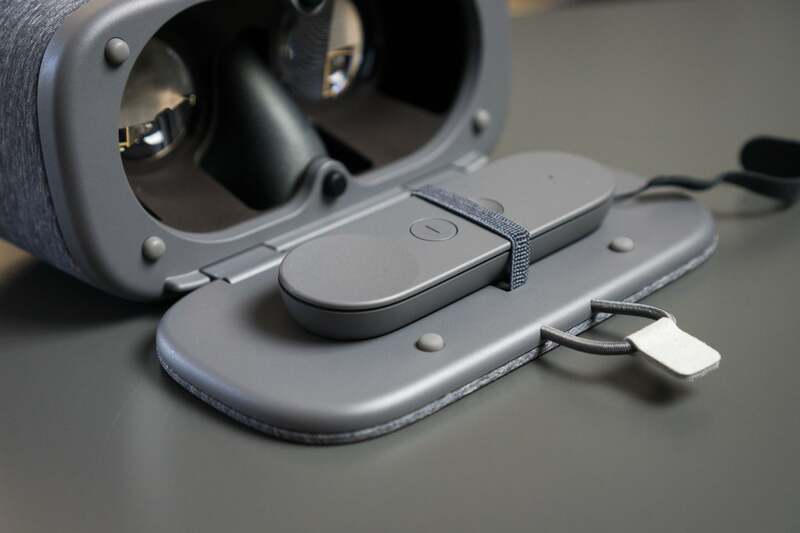 Google's answer to Gear VR, Daydream is a standard that supports multiple phones and one-ups Samsung's offering with a motion-tracked controller. The platform is still finding its feet—as the library of apps (or lack thereof) will attest—but VR looks to be the real deal. 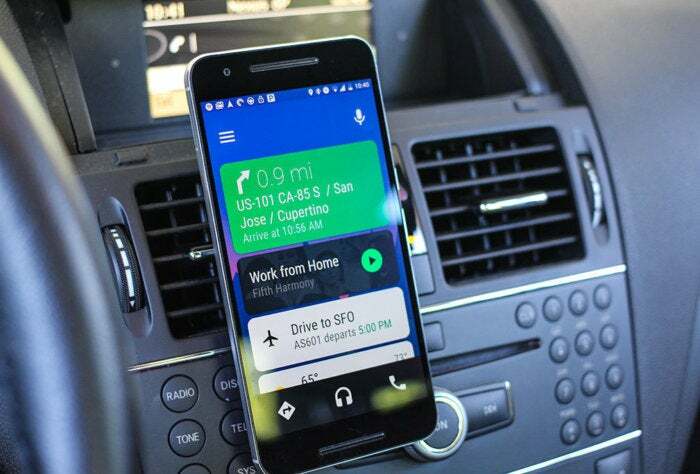 We still haven’t gotten the native Waze app support that Google teased at I/O, but Android Auto is hardly spinning its wheels. A bevy of 2017 models have signed on to offer support—among them the Subaru Impreza, Dodge Charger and Challenger, and every new vehicle made by Ford—and Nougat quietly expanded the connected car concept from the entertainment system to the cockpit, giving car manufacturers the ability to create full Android-powered automobiles. The Android Auto app made our old cars feel new again. But the coolest development happened right on our phones. With the latest Android Auto app, a new set of wheels or in-dash system was no longer a requirement to enjoy the Android Auto experience. Suddenly anyone with a phone running Lollipop or later had a cutting-edge navigation system right in their pocket. Of course, a brand-new Mercedes CLS is preferable, but the Android Auto app should kick adoption into high gear. It wasn’t all that long ago when tablets were the both the current and next big things. For several years, it was customary for Android manufacturers to offer large-screen devices to complement the small ones that fit in our pockets. But as our smartphones have gotten bigger, tablets have declined in popularity, and in 2016 they were barely existent. 2016 wasn’t the year of tablets. Last year’s Pixel C is still the best you can buy. 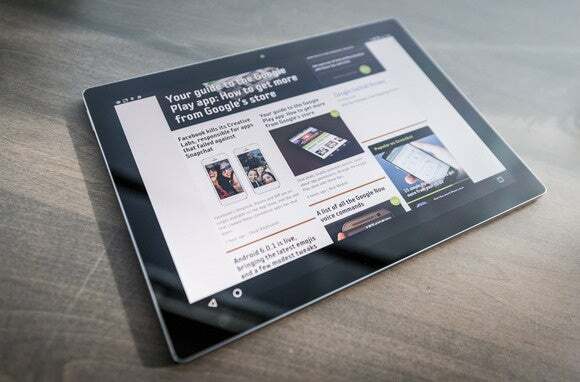 There was nary a single truly significant tablet release over the past 12 months, and those in the market for a really good one are looking at the same Pixel C and Nvidia Shield that were on shelves last year. That’s not to say those are terrible options, but without any killer apps or dedicated Nougat features, it might be time to say goodbye to the dream of an Android tablet one day replacing our laptops. If there’s one thing we could have accurately predicted at the end of last year, it’s that 2016 would be the year of AI. With Siri, Alexa, Cortana, and Google Now all fighting for supremacy, it was clear that the next frontier would be peppered with virtual smart helpers, all vying for your attention. Google’s Assistant was everywhere in 2016. Enter Google Assistant. 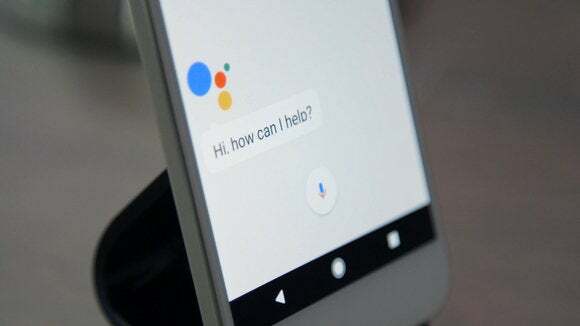 More than a voice-powered concierge, Assistant is Google’s attempt to unify all of its devices with a single intelligent thread, from your smartphone to your car. From the Pixel in our pockets to the Home in our living rooms, the Android Wear watches on our wrists and Android Auto in our car, Google has created a seamless, personal experience that follows us wherever we go. It's the next big evolution of Google Now, and has only just begun to reach its tendrils into all the services and devices we use every day. The coming year should see Assistant on loads more devices, and support for a lot more online services. 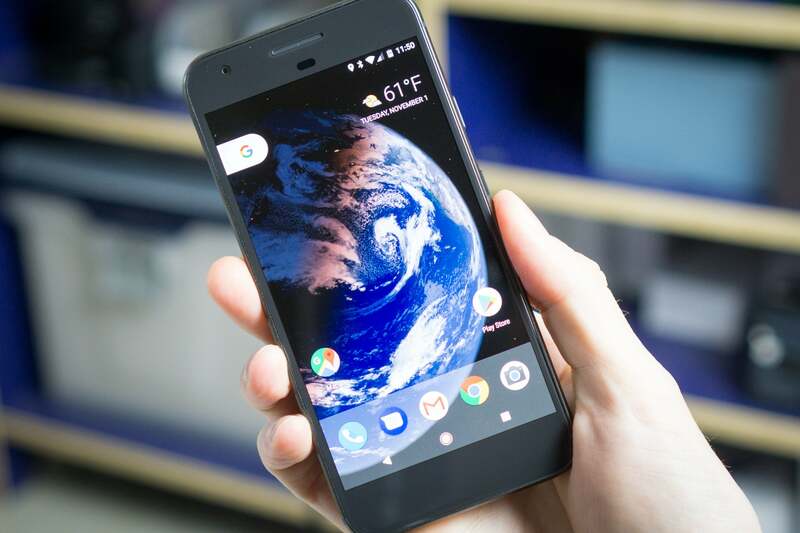 Google’s Nexus devices have become something of a punctuation mark at the end of a full year of Android releases, but this year’s Pixel phone wasn’t simply a vessel for an unadulterated version of Nougat. It was the beginning of a new strategy that repositions Google at the center of the Android universe. Google’s Pixel was the like the Nexus, but a whole lot better. It starts with the Pixel phone, Google’s first real move to challenge Apple and Samsung for high-end handset supremacy. Not only is there a Google logo on it (a first for a Nexus-style phone), it also introduced its own launcher to set it apart from the other pure Android handsets. It's also the first phone to sport the new Assistant and the first compatible with Daydream VR. Then there’s voice-activated Google Home, an Alexa-inspired living room device that answers your questions and controls your smart devices. And finally, there’s Google Wi-Fi to connect it all. Add it all up, and we may be looking back at 2016 as the year Google started to take back Android. 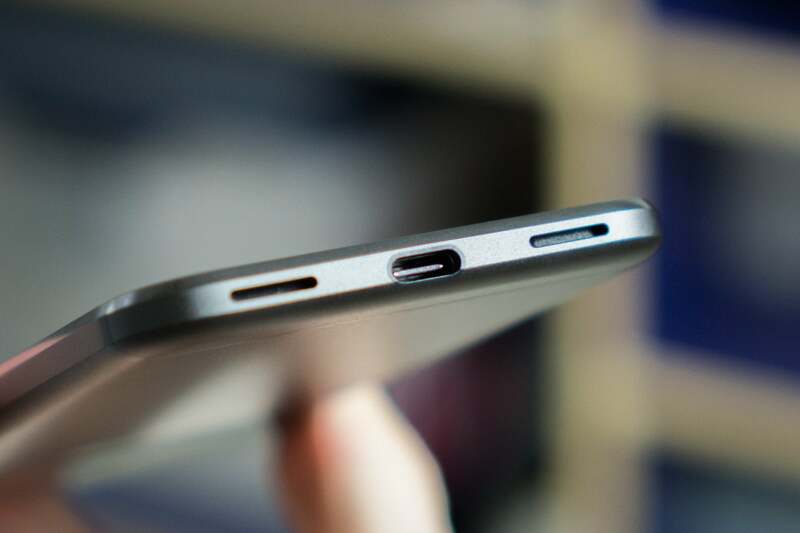 For years, pretty much every Android phone had two things in common: a micro USB port and a headphone jack. That’s not the case anymore. While many phones still have them (like Samsung’s Galaxy S7, for instance), there’s a definite move away the old standard. USB-C finally started to replace micro USB on Android phones in 2016, and we’re all thankful. Most of the phones released during the second half of the year have adopted USB-C, bringing fast charging and eliminating the need to fumble with persnickety cables. But far more attention was paid to the manufacturers brave enough to follow Apple’s lead and dump the headphone jack in favor of Bluetooth and USB-C audio. It’ll be interesting to see which phones keep the 3.5mm jack and which don’t in 2017, but rumors already suggest a major domino is falling in Samsung’s Galaxy S8. The most important feature of any new smartphone is the camera, and in 2016, they got a whole lot better—twice as better, in fact. 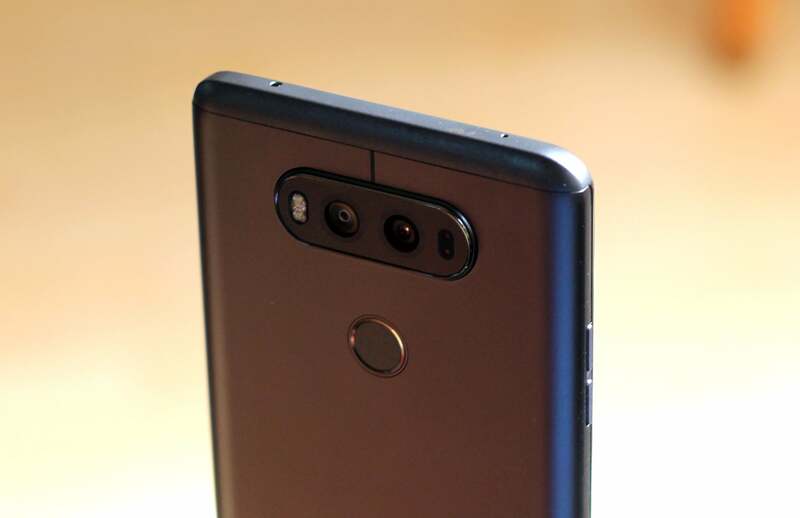 The next phase of smartphone photography is all about sharing the shooting responsibilities between lenses, and many of the year’s top Android phones came equipped with double rear cameras, LG G5 and V20, Huawei P9, and Honor 8. LG’s V20 was just one of several phones sporting dual cameras in 2016. The purpose of the second lens varied, with LG using its system to take wider shots and others utilizing the second lens mainly to aid with depth perception, but the message was the same: There’s no need to buy an expensive DSLR to take professional looking photos. (We think a DSLR in the right hands is still miles better than any smartphone camera, but tell that to the phone marketing departments.) And the dual-camera movement doesn’t seem to be a phase. Rumor has it that Samsung’s Galaxy S8 will sport twin rear shooters as well, which should make the one of best smartphone cameras even better. Google might have canceled Project Ara this year, but the modular phone dream is far from over. In 2016 two modular concepts were brought to market, with varying results: LG released its G5 handset, which sported an array of slide-out “Friends” that could be added on to it, and Motorola dropped the Moto Z and its system of magnetic Mods. The Moto Z launched with several mods, including a Hasselbad True Zoom lens. While LG’s snap-on accessories failed to make much of an impact on consumers, the Moto Z proved that the modular concept actually can work. With a growing family of accessories—and many more planned for the coming year—Motorola may have come up with a viable concept for expanding the smartphone beyond its constrained proportions. Whether the concept expands to other phones remains to be seen, but as handset makers run up against the inevitable innovation wall, modular attachments could very well become the next big thing(s). What big things are in store for Android in 2017? But even as Google will looks to strengthen its position with a tighter Assistant integration and a new pair of Nexus-style flagship smartwatches, in the near future all eyes will be on Samsung. After spending the last few months cleaning up the Note7 mess, the company will need to bring some serious firepower at its first Unpacked event of the new year, especially in the face of stiff competition from the OnePlus 4 and HTC 11. We know they'll be fast (thanks to the probable inclusion of the Snapdragon 835 chip), but what other surprises await us? Dual cameras? Modular add-ons? Bezel-less designs? What does Google have in store for the successor to the Pixel phone? There’s a lot to watch in the new year, and we’ll be covering all the excitement as soon as the calendar changes. So make sure you come along for the ride.